Modern methods of construction have meant that more frequently the need arises to render various substrate elements on the same project or building while maintaining a matching finished texture and colour. Base coat render of weberend LAC applied 3mm thick. weber standard meshcloth laid into the fresh wet mortar, followed by a further 3mm coat of weberend LAC which is then float finished. 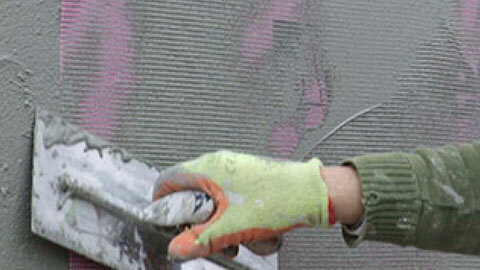 For decoration use weber PR310 - primer applied by brush, roller or airless spray and allowed to dry for 24 hours. Then finish with weberplast TF or webersil TF.